Thank you for your interest in opening a small business in Jersey City! Please answer the questions on this form to determine which permits and licenses are required for your current or future business in Jersey City. Completion of this form does not guarantee any permit and/or license approvals, and it is the responsibility of the business owner and operator to determine any and all applicable permits and licenses, including those issued by the State of New Jersey. Click here to view State of New Jersey licensing requirements. Instructions are provided here as to how to apply for Jersey City specific licenses only. If you have any questions, please call the Jersey City Office of Small Business Services at (201) 333-7797, Ext. 1202 or email Vanessa Quijano at Vanessa@jcedc.org. Please answer the following questions about your new small business to the best of your ability. Any information provided here will remain private and will not apply to actual permit applications. Are you completing any construction, modification, or demolition of any exterior or interior structures? Will you sell alcohol at your supermarket? Will your grocery store include a deli? Will your business have a jukebox? Will you sell alcohol to your customers? Will your business have live entertainment, such as music, comedy, or a DJ? Are you planning to have seating for customers outside and in front of your business (sidewalk cafe)? Will any vending machines be present? How many seats will be available for customers? How many seats will be available for customers in your bakery? Do you need financial assistance (e.g. loans) to start your business? Are you still looking for a commercial space for your business? Will you be seeking professional development opportunities on how to run and manage your business? Urban Enterprise Zone (UEZ) certification provides tax benefits to businesses and customers. Are you interested in learning about and/or applying for UEZ certification? Below are the licenses you need to open your business, as well as additional services and support that we can provide, based on the answers to the questions in the previous sections of this guide. Please print, save, or bookmark this page for your records. Clicking the "Submit" button at the end will provide you with a PDF copy of your question responses only: it does not include the list of required permits and licenses at this time (we apologize for the inconvenience here). If you have any questions, please call the Jersey City Office of Small Business Services at (201) 333-7797, Ext. 1202 or email Vanessa Quijano at Vanessa@jcedc.org. The Jersey City Office of Small Business Services has several funding options to help new and existing small businesses. For more information visit smallbiz.jerseycitynj.gov/loans or call us at (201) 333-7797 ext 1202. The Jersey City Office of Small Business Services can help you find space for your new business. For more information visit smallbiz.jerseycitynj.gov/spaces or call us at (201) 333-7797 ext 1202. The Jersey City Office of Small Business Services has a variety of resources for new small businesses, including free professional development classes. For more information visit smallbiz.jerseycitynj.gov/resources or call us at (201) 333-7797 ext 1202. The Jersey City Economic Development Corporation (JCEDC) can help guide you through the process of applying for Urban Enterprise Zone (UEZ) certification. For more information, visit http://www.jcedc.org/Pages/uezcertification.html or call us at (201) 333-7797 ext 1205. A zoning review is required to open your business. Click here to apply for zoning review or call the Division of Zoning at (201) 547-4832. Please contact the Office of the Construction Code Official in order to determine what, if any, permits may be needed for construction. A jukebox license is required from the Division of Commerce. A sidewalk cafe requires a license from the Division of Commerce. An ABC Liquor License is required from the Division of Commerce. A Florist License is required from the Division of Commerce. A Parking Lot License and taxes are required from the Division of Commerce. A Towing License is required from the Division of Commerce. An ABC License is required from the Division of Commerce. A Bingo License is required from the Division of Commerce. A Raffle License is required from the Division of Commerce. A Taxi/Limo License is required from the Division of Commerce. An Auto Shop License is required from the Division of Commerce. A Used Car License is required from the Division of Commerce. A supermarket requires a Class A Food License from the Department of Health and Human Services. A bar with no food requires a Class D Food License from the Department of Health and Human Services. A newsstand requires a Class D Food License from the Department of Health and Human Services. A liquor store requires a Class D Food License from the Department of Health and Human Services. A pharmacy or drug store requires a Class D Food License from the Department of Health and Human Services. A fish market requires a Class C Food License from the Department of Health and Human Services. A butcher shop requires a Class C Food License from the Department of Health and Human Services. A frozen dairy shop (carry out only - no seating) requires a Class C Food License from the Department of Health and Human Services. A frozen dairy shop with less than 20 seats requires a Class B Food License from the Department of Health and Human Services. A frozen dairy shop with more than 20 seats requires a Class A Food License from the Department of Health and Human Services. A bakery with 20 seats or more requires a Class A Food License from the Department of Health and Human Services. A bakery with less than 20 seats requires a Class B Food License from the Department of Health and Human Services. A bakery with no seats (carry-out only) requires a Class C Food License from the Department of Health and Human Services. A restaurant, cafe, or bar with more than 20 seats requires a Class A Food License from the Department of Health and Human Services. A restaurant, cafe, or bar with 20 seats or less requires a Class B Food License from the Department of Health and Human Services. A grocery store with a deli requires a Class B Food License from the Department of Health and Human Services. A Vending Machine License is required from the Department of Health and Human Services. A grocery store (no deli) requires a Class C Food License from the Department of Health and Human Services. A barbershop, tanning/beauty salon (without nails), or dry cleaner (drop-off only) requires a Class B Non-Food License from the Department of Health and Human Services. A child care center requires a Child Care License from the Department of Health and Human Services. A tattoo parlor requires a Tattoo License from the Department of Health and Human Services. A food truck requires a Mobile Food Truck License from the Department of Health and Human Services. Please note additional rules and regulations apply to mobile food vendors. Click here for more information. A nail salon, dry cleaner (done on the premises), beauty salon with nails, or laundromat requires a Class A Non-Food License from the Department of Health and Human Services. A Temporary Retail Food Vendor License is required from the Department of Health and Human Services. A Temporary Food Establishment Sponsor License is required from the Department of Health and Human Services. A Flea Market License is required from the Department of Health and Human Services. A hotel requires a Hotel License from the Office of Housing Code Enforcement. For more information on the rules and regulations for operating a small business in Jersey City, visit smallbiz.jerseycitynj.gov/rules or call us at (201) 333-7797 ext 1202. 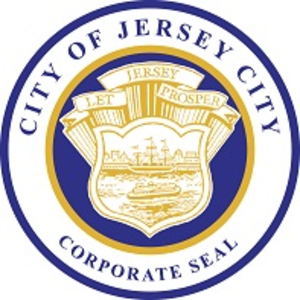 You may also click here to learn more about rules and regulations that pertain to Jersey City businesses on the city code of ordinances.